Your dealership has likely invested a significant amount of time, resources and budget toward making your dealership website attractive to consumers. But while you’re focused on bringing in consumer leads, you might be overlooking another key audience that frequents your website – job applicants. At a time of decreasing profit margins and ever-increasing disruptive business models such as autonomous cars and vehicle subscription services, your people are your top source of competitive advantage. It’s critical to be strategic about attracting quality employees, including making your dealership website as compelling as possible for job seekers and building a strong employment brand. Below, we’ve outlined several ways your dealership can adapt consumer marketing tactics to attract quality job applicants. Just as many dealerships have an SEO strategy in place to get consumers to the dealership website, you also need to incorporate SEO into your job descriptions. If you put together a great job description, it won’t yield results if job applicants can’t find you. By including appropriate keywords in your job descriptions matching those your candidates are likely searching for, you increase your dealership’s odds of being found in their job search. This should start with the job title – less than 1% of job applicants would consider working at a dealership, so it’s important to make your job title more broad. For example, instead of “Used Car Sales Rep,” consider the title “Sales Consultant.” This will help you attract the small percentage of job seekers who are interested in automotive, as well as those from outside the industry. In addition to optimized job descriptions, make sure your job descriptions get prospective applicants excited about the possibility of working for your dealership. Focus on what your dealership has to offer, not what’s required of the job – the specific requirements can be discussed more during the interview process. Your job description should include a list of benefits, to answer the “What’s in it for me?” question – including time off, 401(k), discounts (on vehicles, service or parts), unique holidays observed ( birthdays and anniversaries), discounts on community events, business partnerships (including gym membership discounts and wireless discounts), reimbursements you provide (such as ASE certifications and college courses) professional development (paid training or other certifications employees for employees) and what type of commitment you make to work life balance. Dealerships tend dedicate a significant amount of marketing budget building out compelling website content to attract qualified consumer leads, but many either don’t have a career site, or it has limited content necessary to attract consumer leads. But most of today’s job seekers complete research and apply for jobs online, meaning your dealership needs a compelling employment brand story that includes a strong career site. A strong career site is critical to building a great team at your dealership, as 30% of applicants from Hireology career sites are quality hires, the highest percentage across all sources. 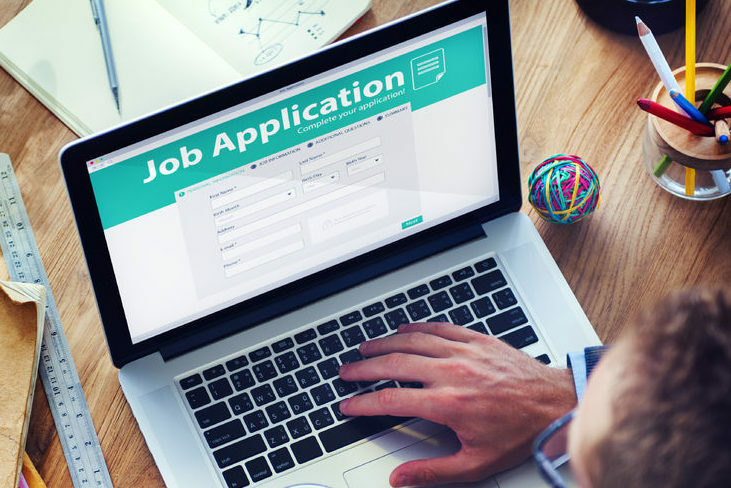 Applicants who apply via career sites are often among the most engaged applicants, as they’ve taken the time to research the opportunity and what your dealership has to offer. Embrace your career site to keep top candidates engaged by telling a story about your dealership, culture, people and core values. Does your dealership website have a simple online contact form to collect consumer leads? Whether or not it does, you should take a similar approach when it comes to collecting applicant information. If your job application is too long and confusing, it might cause candidates to abandon the application process all together. Some applications require candidates to re-enter all of their experience and skills manually, despite also requiring applicants to upload a resume. Make the application simpler with just a few fields for contact information and an option to upload a resume and cover letter. To simplify the applicant experience even further, make sure your career site is mobile-optimized, as up to 1 in 4 job seekers apply to jobs via smartphones and you don’t want to miss out on this segment of applicants. If a new consumer lead comes in through your dealership website, your team will likely jump at the chance to get in touch with the prospective customer, rather than making them wait around for days or even weeks. If you don’t respond, you can easily lose business to a competitor who responds in a more timely manner. The same is true for job applicants. Any given job applicant is applying to many jobs at once, so it’s important to communicate with applicants in a timely manner to secure quality candidates. In fact, Hireology research shows applicants reviewed and acted upon within 12 hours are more likely to be hired. To stay organized and respond to job applicants quickly, consider partnering with a hiring platform, which can centralize all applicant information received through your dealership website – and significantly cut back on administrative time. A hiring platform can also help your dealership team weed out poor applicants, so you can spend time and resources on qualified candidates – and respond to them in a timely manner. This is made possible through pre-screen surveys, which can be sent automatically as soon as an application is submitted, and gauges the applicant’s fit for the role. Once complete, the surveys are then automatically scored, so only the strongest applicants get moved to the candidate stage of the hiring process.